As the Red Raven volleyball team prepares for the district tournament and their title defense they add some talent for the future. 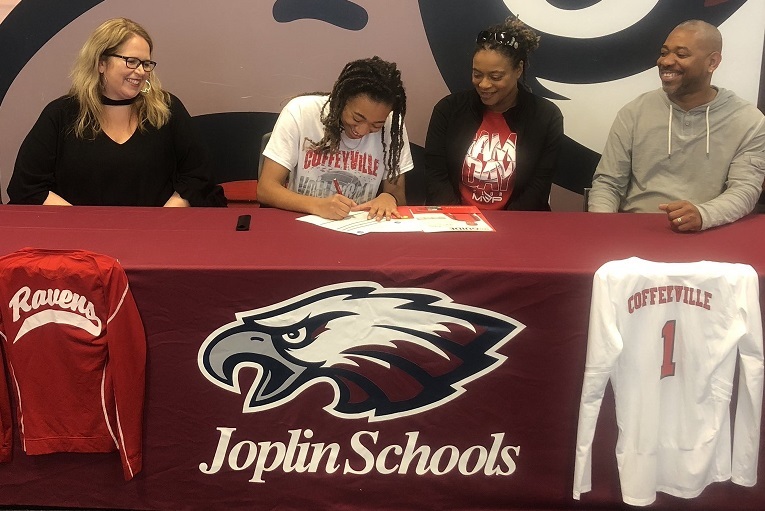 Yesterday Joplin High School senior volleyball player Malia Mack signed her letter of intent to continue her volleyball career at Coffeyville Community College in Kansas. In her time at Joplin High School, Mack has earned All-Conference honors each of the last two seasons, and was named an All-District selection earlier in the day. She'll join a Coffeyville CC volleyball team that is one of the best programs in the country right now. Heading into volleyball postseason the Red Ravens are ranked #1 in the country.